While the basics of marketing are quite clear cut, navigating the murky waters of digital marketing can be tricky and time-consuming if you’re not sure what you’re doing – and that can impact your business. Online marketing can be complicated and we’re not afraid to say it - not least because the Google are constantly changing the game with new updates and algorithms. 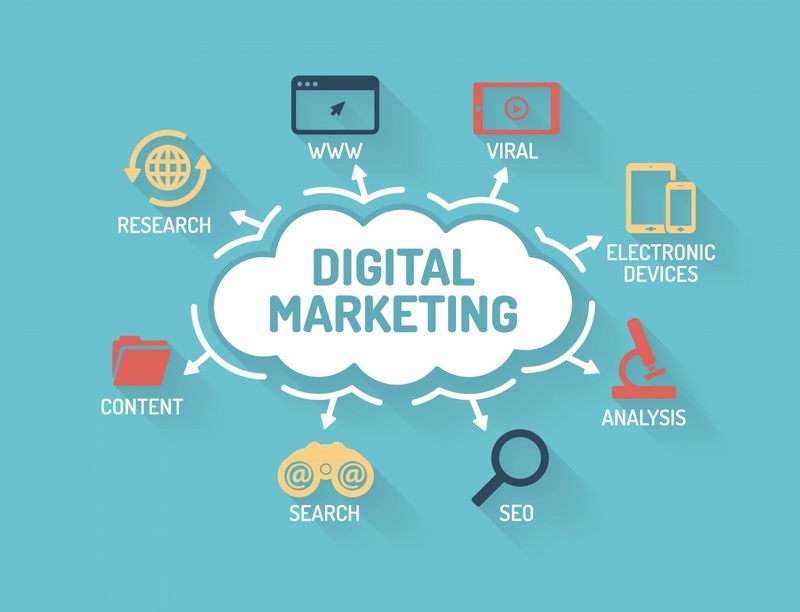 While this means you need to be clued up in a whole host of areas that may or may not be your forte, it does mean that your digital marketing efforts will be fruitful in the long term – and it will take time. SEO is an investment that you need to be prepared to make if you’re looking to get ahead. That being said, in an industry that is full of technical jargon, we have put together a handy guide featuring everything that you need to know about digital marketing to get you started. Got a burning question? We have the answers you need to get you in the know. You want to build traffic and make sales, but do you know the best way to get there? What are the merits of integrated social media campaigns? Do you need PPC? Why do you need to add regular content? The world of search engine optimisation is wide subject to a lot of speculation, but what we do know is we will only ever offer advice and recommendations that are right for your business. What works for one won’t always work for others, which is why our tailored campaigns are designed on your goals. Without proper guidance and expertise, it can be easy to fall into one of the many pitfalls of digital marketing. Want to know more? When it comes to success, digital marketing speaks for itself. A carefully managed and effective marketing campaign has the ability to turn around your business, transform traffic into sales, and get you ahead of the competition. In a world that turns at the click of a button, if you’re not ready to play the game, you will get left behind. Many of the benefits may seem obvious, but if you’re thinking of starting a new campaign, it is imperative that you get the basics right first – you wouldn’t run a marathon without training first, just like you won’t get to Position #1 without ensuring your site is up to speed. Staying on top of industry news gives you the chance to be proactive and prepare for change, rather than reacting to updates as they happen. Staying in the know puts you in a prime position! Digital marketing provides you with advantages that traditional strategies just don’t have the capacity to offer. What’s more, you can see what your competitors are doing and get real scope into how your industry works. A digital presence is vital for any business, but that doesn’t mean that digital marketing agencies have it easy. Optimising your website is a full-time job that requires expertise and knowledge, so make sure you invest wisely. Create a relationship that not only offers long-term value but is right for you. There are so many tools available to help track and analyse not only your data and goals but also trends from the wider industry. Analytic data is a great place to start, but this should be just one facet of your evaluation. What’s more, they give you the opportunity to act fast and make a real difference to your results. The world of business is always a competitive one, and in certain industries especially, any additional edge you can get over your competitors is a bonus. Being smart and business-savvy goes without saying, but if you have customers on your side, you have an advantage like no other. It also means you have fast and easy access to no holds barred customer feedback – so utilise it well! Marketing has always been an essential part of growing a business, but digital marketing is the future. Build your knowledge base, work methodically and within guidelines to stay ahead of the curve and you’ll soon reap the rewards. PPC versus SEO – is it really a battle of the two? It is undeniable that both have their own benefits, but is one better than the other? PPC (pay per click) puts you at the top of page one as a sponsored post, giving you instant exposure. Each click through you receive costs, but, for many businesses, this is a great way to boost traffic and sales quickly. On the other hand, SEO (search engine optimisation) focuses on achieving high rankings in search engine results for targeted keywords. Unlike PPC, results are entirely organic and boost the entire authority of the website and achieves prolonged exposure at the top. For businesses in particularly competitive industries, keyword research is essential to both SEO and PPC efforts. If you target the wrong phrases, you could miss out on valuable traffic, or spend a lot of money attracting the wrong visitors. Put simply, PPC offers quick wins and SEO is a long-term investment that does take time. Both have their pros and cons, but as long as they are right for you, they can really boost your website traffic, sales, and brand. Getting to that number one position isn’t always easy, but it is our job to make sure our clients are up there battling it out for the top spot. Is Social Media Management Worth my Time? Does your business utilise social media to its full potential? Are you using social media to interact with customers and clients or just promote your latest offers? Do you know how to use these platforms effectively? These are the questions you need to be asking when it comes to social media management. In 2016, a massive 76% of people in the US used social media, a trend which is reflected here in the UK. With such a large base of potential customers to engage with, taking advantage of the benefits of social media for business has never been more important. In the age of digital marketing, customers expect businesses to have an online presence. In fact, social media is often the first place people will come into contact with your brand. This means that social media is ideal for helping to promote your business and drive sales. Avoid your social media feed becoming too sales-oriented and make sure to interact with customers and share non-promotional content too. 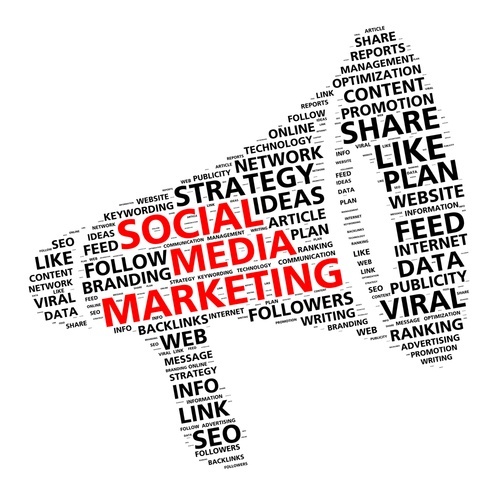 Social media management is a vital part of a successful digital marketing campaign. However, it can be easy to get wrapped up in complicated strategies and end up spending far too much time on social media, getting next to nothing back. Don’t let social media consume your time; let us help you devise and run an effective social media campaign to benefit your business. Do I Need SEO and Optimised Content? SEO isn’t just limited to pushing target keywords up search engine rankings. There are hundreds of different factors that impact rankings – everything from keyword density, industry relevance, updated content, improved user experience (UX) and backlink profiles are just a few of these - but by ensuring your website adheres to known guidelines is the best way to rank naturally. The content on your website is just as important as everything behind the scenes when it comes to search engine optimisation. In fact, properly optimised, well-written content can do wonders for boosting authority, relevance and rankings. From onsite content through to a blog, a thorough digital marketing strategy will ensure all areas of your website contribute to your success. The beauty of content is that it is one of the only parts of SEO that your customers will interact with directly. Keywords are one thing, but a blog post is there on your website for everyone to see. Aim to produce fresh and engaging content that is relevant to both your business and the customer. The content that you share socially should also be of interest to your customers – the trick is to see it as a resource for them rather than another task that needs to be completed. You don’t need these things to get by, but they can catapult your business from middle of the road participants in the digital world to industry leaders. If all this talk of digital marketing, SEO and PPC services has got you confused, there’s no need to worry. With our help, you can shed some light on the mysteries of digital marketing and start out on the road to a successful campaign that will benefit your business well into the future. Looking for some assistance in getting your marketing campaign off the ground, or looking to revamp your existing strategy? We have a proven track record when it comes to helping our clients build and develop highly successful digital marketing strategies. Find out what we can do for you and your business by getting in touch or dropping us a call on 01733 890836.